When Mixture first appeared on the market in 1958, it was the object of much attention. Pipe smokers could now enjoy a finely balanced pipe tobacco offering a fine blend of tobacco leaves with a slightly aromatic flavour. This was the result of many years of development, inspired by Jørgen Halberg’s great store of knowledge of tobacco leaves and the production of pipe tobacco. 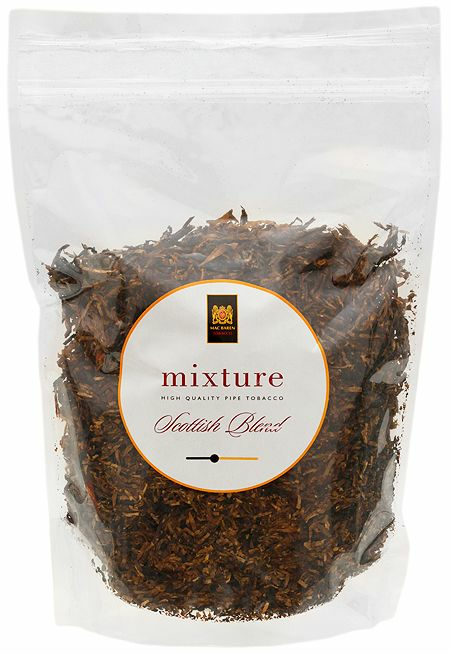 Mixture is made from more than 35 different tobacco leaves from different parts of the world. Each leaf has its own special qualities and only by blending them in the right proportions does Mixture achieve its unique flavour. Naturally, what goes into Mixture remains secret, although we can disclose some information. The loose cut tobacco in Mixture is light, sweet Virginia. One of the secrets behind the special pleasure that Mixture provides is that pressed Virginia and Burley tobaccos have been added, but they are broken up prior to being blended with the rest of the secret ingredients. Our meticulous pressing process imparts new qualities to the tobaccos that would otherwise not exist. The breaking up of the pressed tobaccos makes it easier to fill your pipe, while giving Mixture the added advantage of burning slowly. In addition to the best Virginia and Burley tobaccos, there is another component that makes Mixture unique. The loose cut Mac Baren Original Cavendish provides the final special touch. Contrasting the light Virginia tobacco, Original Cavendish is not only a joy to look at, it also gives Mixture the final nuance of taste that completes the blend. The carefully balanced aromatic top flavour, together with the tobacco leaves, makes Mixture a unique blend. 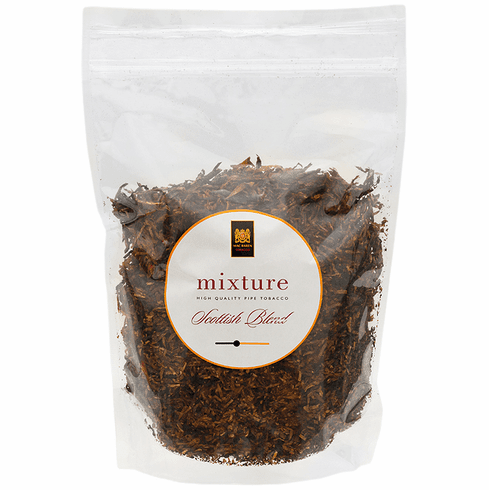 Click Here to Purchase 3.5 oz Tin of Mixture Scottish Blend.